Rivers have born the brunt of negative impacts related to the advancement of civilization. People have polluted them and encroached into their pathways with development, dams and diversions, leaving few rivers in any sort of natural condition. Making matters worse, rivers have been utilized too often as irrigation, drainage and sewer systems. Riverfront parks serve communities as activity hubs and continue to evolve as economic drivers. 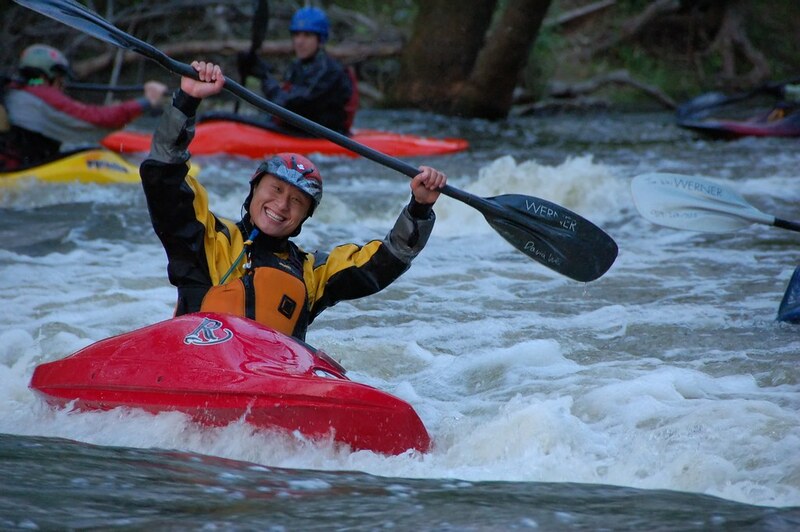 The whitewater parks projects we have worked on include: Confluence Park – Denver, CO; Adventure Sports Center International – McHenry, MD; Green River Whitewater Park at Expedition Island – Green River, WY; 1996 Olympic Slalom Course – Ducktown, TN; Chattahoochee Falls Restoration – Columbus, GA; Mississippi Whitewater Park – Minneapolis, MN; Ray Neef, MD River Recreation Park – Boise, ID; Confluence Park – Colorado Springs, CO; Park on the Lower Colorado River – Austin, TX, Calgary Weir – Calgary, Alberta, Canada; Susquehanna River – Holtwood, PA; and Falls of the Neuse Whitewater Park – Raleigh, NC. Members of our team have helped stakeholders develop a vision for their whitewater park and strategies for acheiving their goals, utilizing detailed economic impact studies and facilitating stakeholder meetings and design discussions. Sad though it may be to have to stabilize badly eroded or misused rivers, restoration efforts create opportunities to enhance their recreational quality and access. We have developed (tested in physical models) and designed features using “transverse stabilization” restoration techniques providing an alternative to ugly, rip rapped banks and drop structures while promoting deeper water, lower bank velocities, and a natural appearance. MWDG has conducted in depth river stabilization, including work on the Roaring Fork River flowing through Basalt, Colorado, on the South Platte River in Denver and in Batavia, Illinois on the Fox River. Whitewater parks can improve the environment in which plant and animal species sustain, thrive and improve. One early project combined fish passage and whitewater recreation at a federally regulated hydropower dam for the first time. The “Gutter” on the Payette River in Horseshoe Bend near Boise, Idaho was the first engineered river segment redesigned to suit whitewater slalom training and racing. The design for a whitewater course at the site of the Truckee River’s Farad Dam (California) survived intense scrutiny by fisheries scientists over the habitat improvements, and will create a high-quality recreational Class II+ course. Many dams take water off of a river for domestic or agricultural use. Screens are often placed in the river to keep debris and fish out of the diverted flow, but the screens can be hazardous to fish, people or both. Our engineers have solved these common problems developing an “in-channel” screen that installed out of the path of users and requires no more maintenance than the conventional Coanda screen. For example, the diversion screen designed for the American River restoration near Auburn, California allows 450 cubic feet per second to pass through the screen directly underneath a Class II chute in which fish, rafters and paddlers float. Experts estimate there are over 500,000 low-head (usually 2 – 20 feet high) dams existing on rivers in the U.S. These dams often block fish passage and increase river temperatures, killing fish and invertebrates. They also claim the lives of fishermen, children, and boaters each year. Dam modifications and channels built around them called whitewater bypasses can now remedy the absolute danger posed by dams, though water safety best practices and on water skills and awareness remain an utmost priority for land managers, private industry and landowners, and members of the public. Our published research and design exploration, including our ability to test designs and theory in large physical models have provided the basis for the design of most of the courses built in this country. We are committed to improving safety and enhancing recreational benefits by removing low head dams, or building whitewater bypasses around them. Many bridges span fast-moving rivers and they can create hydraulic conditions that are hazardous for boaters. Bridge replacement is expensive, so municipalities have begun to modify bridge piers and abutments in order to improve these dangerous conditions. We have designed and modeled improvements to minimize hazards in order to promote river recreation responsibly.